Only last year, Apple settled their iPad trademark dispute with Proview Technology in China for $60 million. 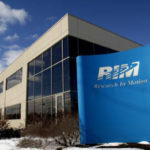 The source details that in Canada, both Acer and Knightsbridge HCM were opposing Apple ever gaining the “iPad” trademark. 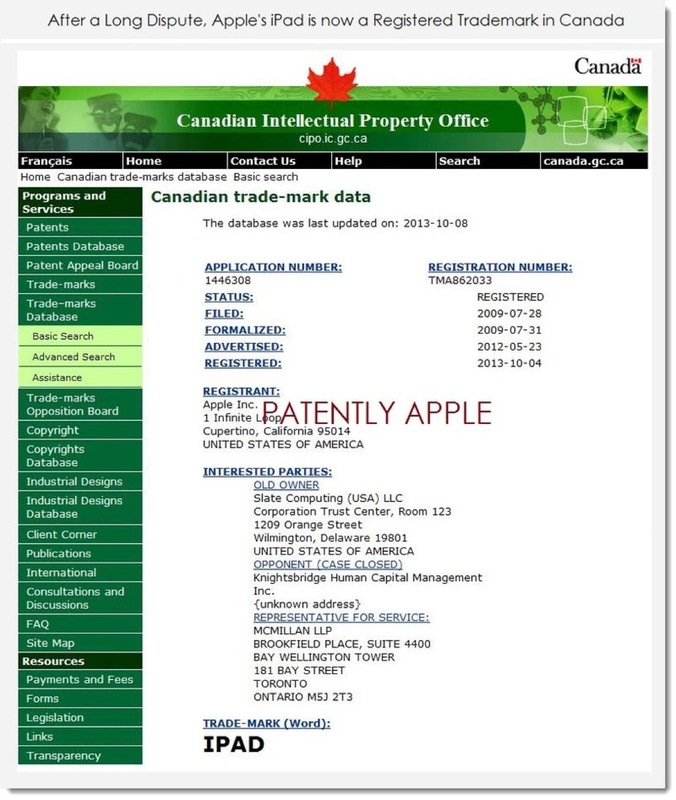 But merely weeks after a win in Brazil, enabling Apple to legally use its brand name “iPhone” in that country, Apple has eventually won the “iPad” trademark in Canada. 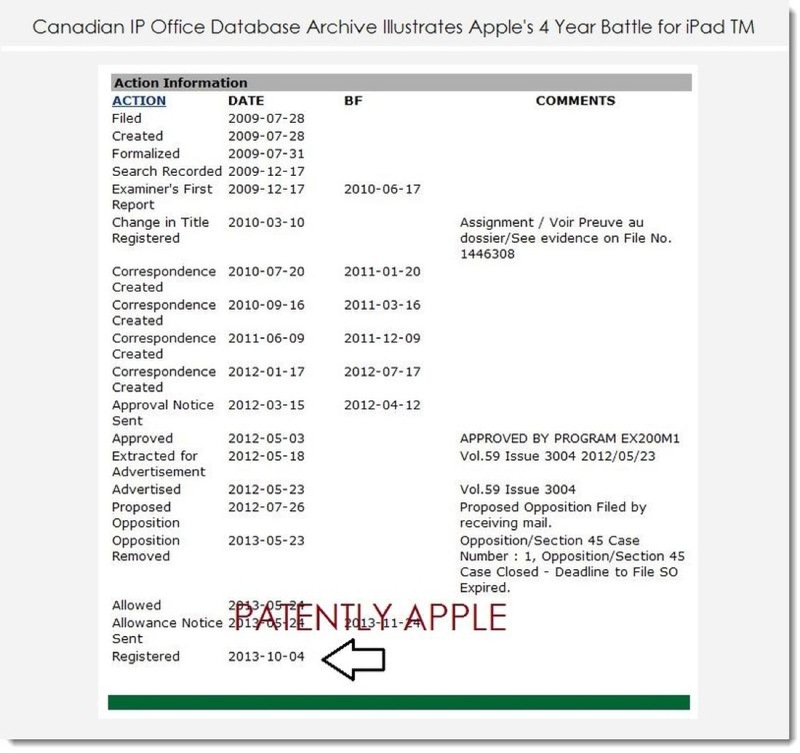 According to Canadian IP Office documentation, the “iPad” trademark was filed under ‘Wares’ in two categories specifically covering “Computers” and “Electronic hand-held game units”.